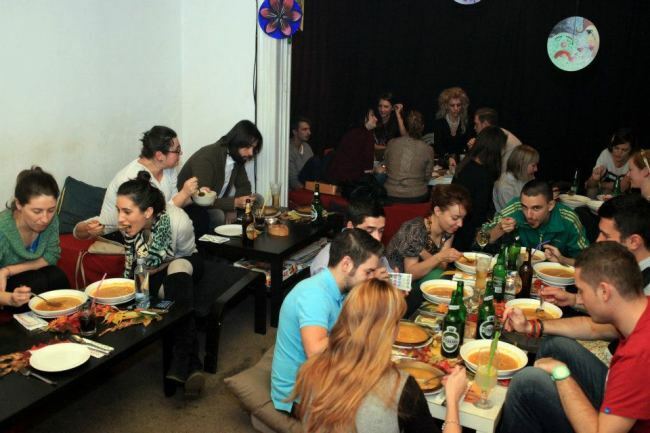 Rumours of their tasty project are heard all over Bucharest, as PopUp Dinner turned the usual dinner into an experience of flavours and socializing you’ll find hard to forget. Not to mention that you will also experience dining in unconventional places. Irina’s choice of menus is always creative and tasteful, too. PopUp Dinner is a mobile restaurant popping-up in the most unexpected places, where for less than EUR15 you can eat a special delicious dinner, made of starter, main course and dessert and get the chance to meet the chef and other interesting people with passion for gastronomic experiences. We had the chance to talk to one of the initiators of the project, Valentin-Tiberiu Hristu, and let us tell you, his enthusiasm is more than contagious! 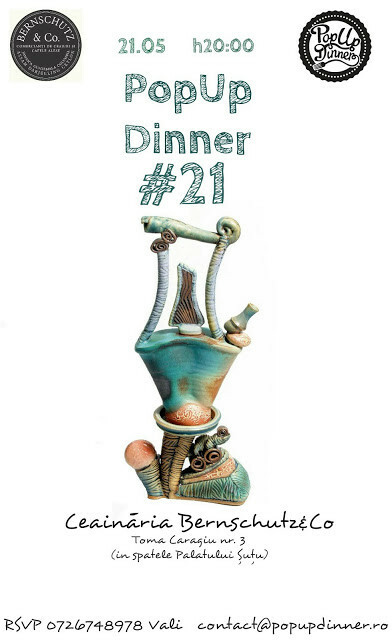 When in Bucharest, do not miss the PopUp Dinner experience, especially if you are a gourmand! PopUp Dinner recipe contains the following ingredients: the passion for cooking and for experimenting with new dishes in Irina’s unique combinations, mixed with the pleasure to socialize and to bound new friendships, spiced with strong will and the desire to implement a new idea in Bucharest, inspired by the Europe’s big capitals and not only (especially from the Unites States); topped with interesting places in Bucharest that need to be discovered, beautiful people with a high appetite for healthy food and socializing… et voila! PopUp Dinner Bucharest. 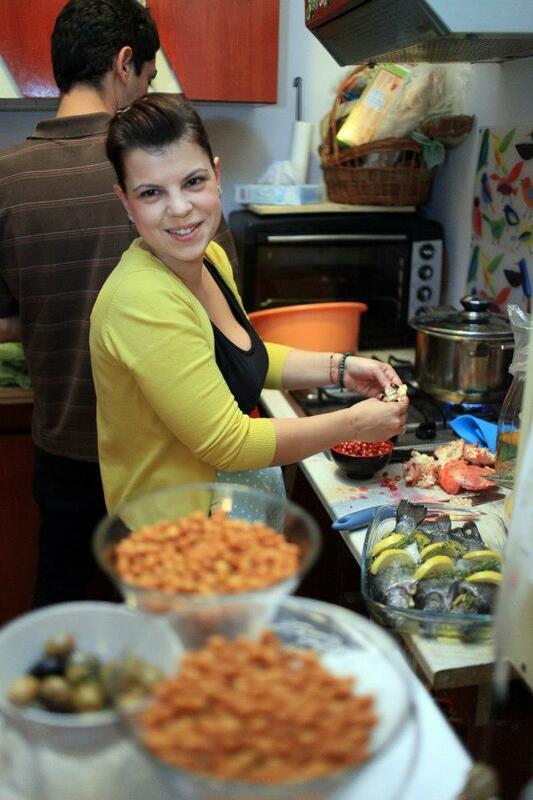 We are Irina – the chef, me – Irina’s husband, the PR and PopUp Dinner host, Daniel – the chef aid and Bogdan, our helper. Everything started with our good friend from London, Silvia, who suggested to us to try this unconventional way to serve a dinner. Irina’s passion for cooking had to somehow materialize, so PopUp Dinner was born. How often does it happen and how someone can attend it? 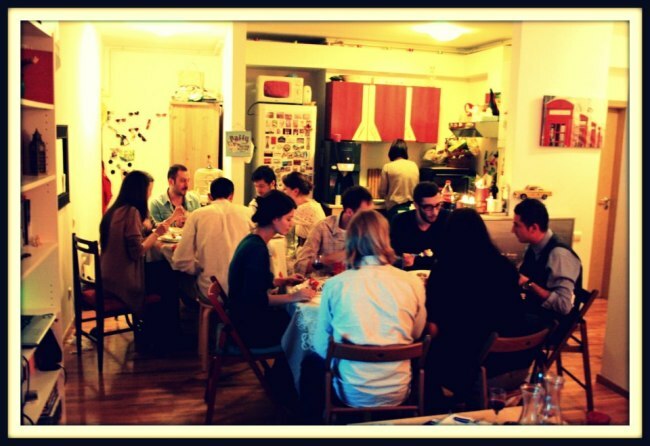 Initially, the dinners happened at our place, for a limited number of guests, 10-12. As the awareness of our project grew, we decided to ramble, turning into a mobile restaurant. With this move, the dinners became increasingly frequent, the number of those willing to attend increasing from one edition to another. Currently we are organizing weekly PopUp Dinners (check our Facebook and blog for the updates! ), in different locations with non-repeating menus. Attending is only by phone or e-mail reservation, the places being limited and usually being occupied in 24-48h (the biggest popup was for 47 persons). The essence of this project is to experiment culinary and socially in places that usually are inaccessible (art galleries, teahouses, cafes, unconventional spaces generally), after a recipe which is somehow generalized in the past 20 editions. How does it work? Which was the most unconventional PopUp by far? Who’s showing at your dinners? Are there any differences between guests from one place to another? Our guests are both friends with their friends and new people. If in the beginning the first type was prevailing, now we could say that the proportion changed in the favour of new persons willing to experience a PopUp Dinner and to taste Irina’s dishes. The location also brings new people at our PopUps, people used with something else happening there than a dinner… The guests change from one location to another, with people following PopUp Dinner but also with those familiar to the place and willing to see it transformed. What menu will have your next PopUp Dinner? Our next PopUp Dinner will have a fusion menu, a mix from French, Greek, Lebanese and Turkish cuisine, and we will serve as starter the vichyssoise cream soup (invented by Chef Louis Diat in 1917 while managing the cuisine at Ritz-Carlton New York), the main dish will include Dolmades and Tabouleh, and for the dessert our guests will taste a Turkish cake with yogurt and citrus sauce. A mesmerizing menu! Did you ever thought to turn this nomad project into a restaurant? If so, where would it be its ideal location? We thought about having our own restaurant too in the future, especially because of the praise and compliments Irina has received for perfecting her dishes. Still, it’s is a long way till there, we have a lot to learn and accomplish in order to afford dreaming about that moment. We try to focus on our baby, PopUp Dinner, but we have to admit that we sometimes dream too… As for the location, I don’t think we will be the kind of restaurant in the Old Town or Dorobanti. Probably a quieter zone, still central. Did you have foreign tourists as guests for your PopUps? I cannot say we had foreign tourists, but we have a group of Englishmen which are already our usual customers, with four PopUps by far. Irina has entirely convinced them she is skilful and she has a strong passion for cooking. We had instead many tourists as in Romanians across border, which are following us online and anytime they have the opportunity to come back for holidays they also try to take part in our PopUp Dinner. 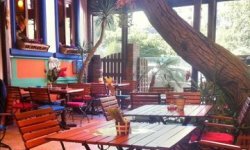 How is the food in Bucharest for a foreigner? 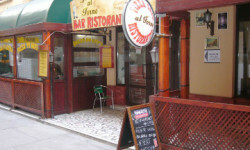 The food in Bucharest for a foreigner we could say is diverse, sometimes good, sometimes less good. It is obviously that currently they must be informed and up-to-date with all new places opened, but also with our PopUp Dinner, where they have the chance to taste cuisines from around the world, unlike at the restaurants where there is a certain specific. As our by far feedback from the foreigners shows, they appreciated our chosen menus, mainly being extremely varied but also the cooking of the dishes, as they were tasty! Irina likes to cook healthy, with best quality ingredients and I believe this is showed in the appreciations she receives during dinners or at their end. The experience of a PopUp Dinner menu speaks for itself!